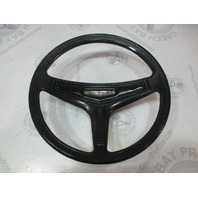 This sale is for one used Boat steering wheel from a 1971 Thompson boat. 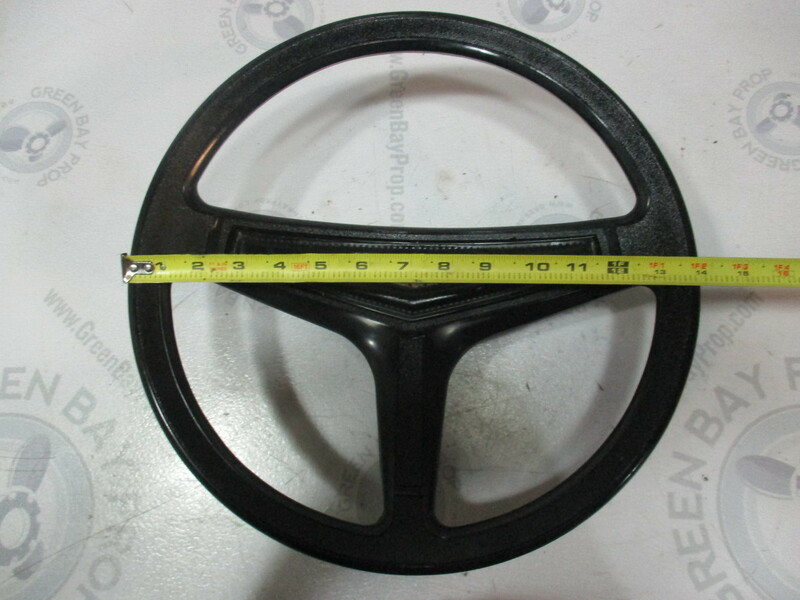 Measures: 14 inches in diameter and 5" deep. 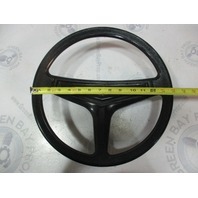 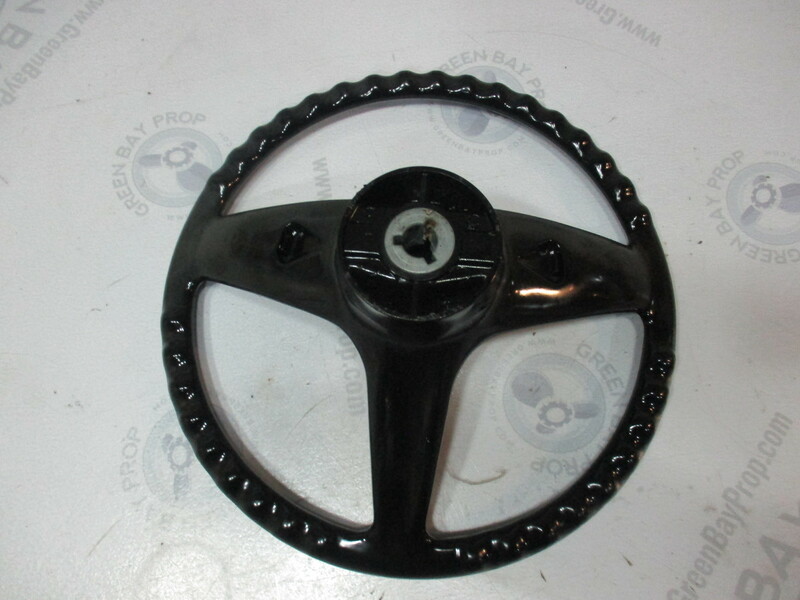 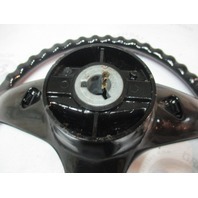 This boat steering wheel fits on a 3/4 inch tapered shaft with a key way. 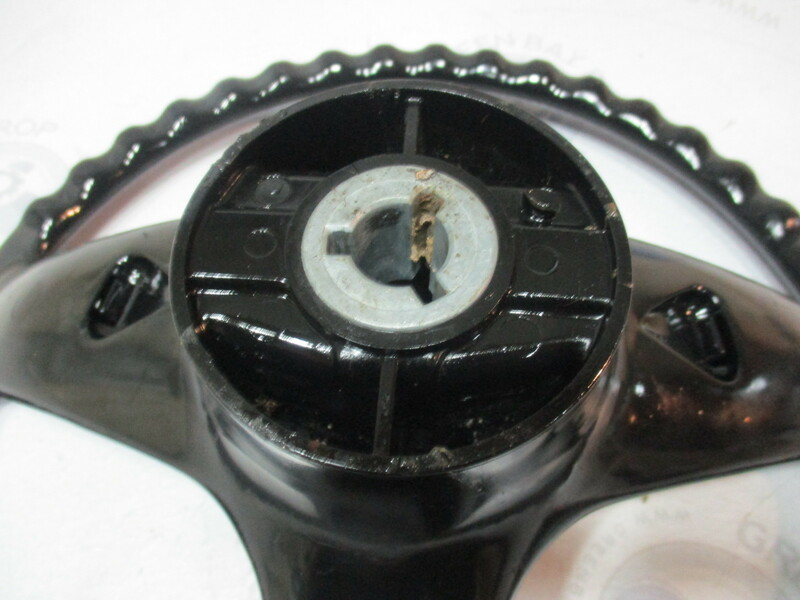 The black plastic is not faded or cracked. 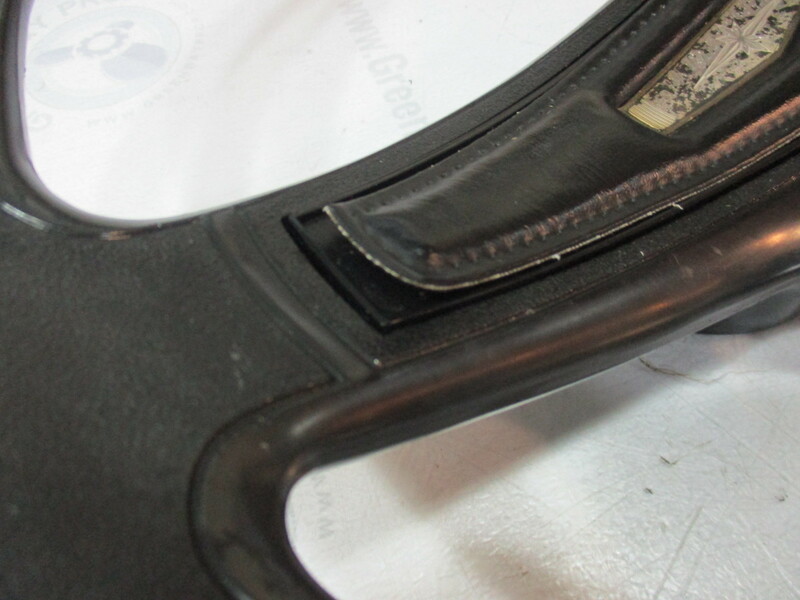 The padding is starting to peel from the center but it can be glued. 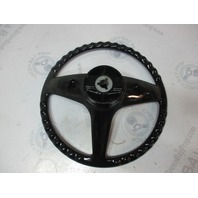 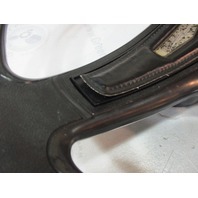 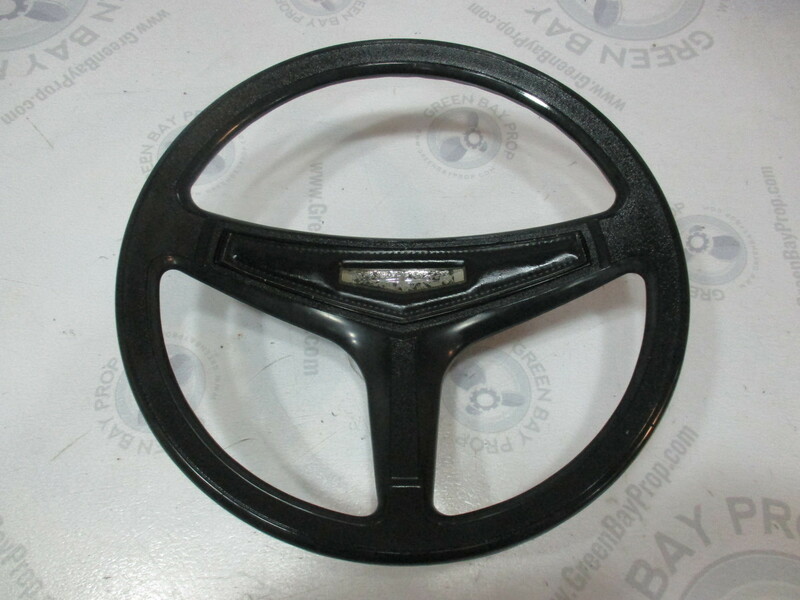 You will receive this exact Steering wheel as shown.